Look left, right and left again when crossing the street and keep looking as you cross. Always walk on sidewalks or paths. If there are no sidewalks, face traffic as far to the left as possible. 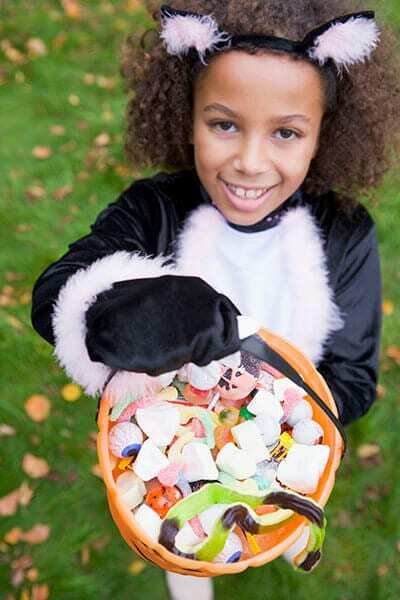 Decorate costumes and bags with reflective tape or stickers and, if possible choose light colors. 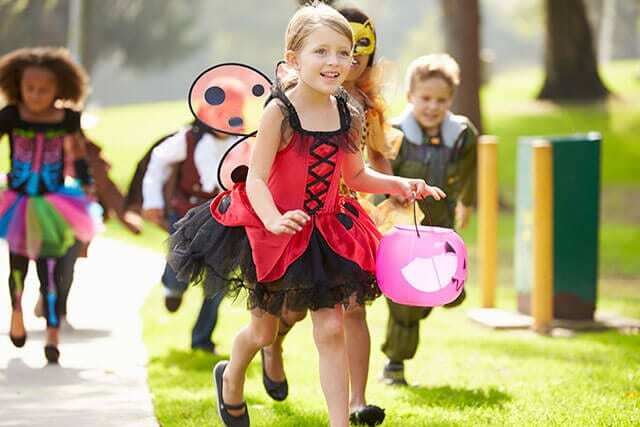 Choose face paint and makeup whenever possible instead of masks. Eliminate any distractions in your car so you can concentrate on the road and surroundings. Drive slowly, anticipate heavy pedestrian traffic and turn on your headlights. 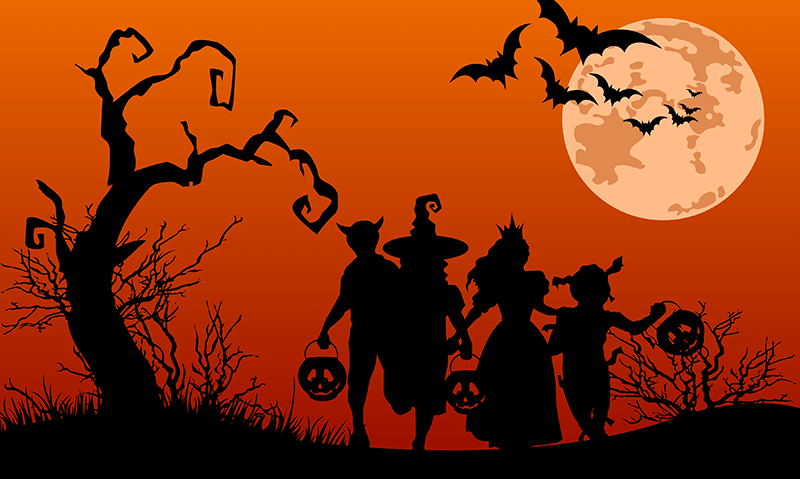 Popular trick-or-treating hours are 5:30 – 9:30 p.m., so be extra alert during those hours.